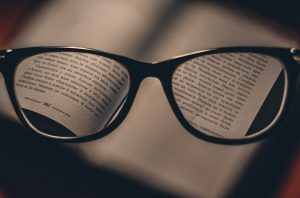 Presbyopia – What is that?! Ok, so what are my options? You might want to start with reading glasses. Everyone is different but some decide to get reading glasses from their Optometrist and go designer with a fancy frame. After all, if you need a little reading help, you can still attempt to look good, right? Others might know that they are guilty for always losing sunglasses and have given up on buying designer sunnies a long time ago. For this reason and they’ll opt for your $10 readers out of the pharmacy and keep a pair everywhere. The car, the kitchen, the bathroom, the bedside table… you name it, you have a pair of glasses there! Others might receive a recommendation to try ‘monovision contact lenses’. If you’ve never been a contact lens wearer, you will likely not want to start in your 40’s as most people find putting them in and taking them out a chore and very difficult and we must admit, there is a certain knack to contact lenses that not everyone has! They might even just feel highly uncomfortable in they eye which is often the case. Monovision means using your dominant eye for distance vision and your less dominant eye for reading/near vision correction. Not everyone’s brains can adapt to the imbalance in vision making this option not suitable for everyone. I can definitely relate to one of the above. Is there a more convenient option? It really all depends on how you feel about your current presbyopic situation. If you really dislike your reading glasses or have become intolerant to the contact lenses that seemed to be a godsend for a while there, then yes, you will find surgical advancements convenient, easy, affordable and pain-free. Read our recent blog all about trifocal intraocular lenses to find out how Dr Graham Furness is getting fantastic results for people wearing readers or a combination of both readers and distance vision glasses with safe surgical intervention. You can also find out all about refractive lens exchange (RLE) which is a commonly performed procedure to get you out of your glasses! Click here for a direct link and information.